SAN ANTONIO - To be an American citizen is a blessing and a privilege. That is the motto of a group of ladies who have dedicated their lives to serving this nation’s military veterans by quilting. The ladies are part of a national nonprofit organization called Quilts of Honor. They have a mission to show military members, past and present, how much they appreciate their sacrifice and service. Hayes said that, as a retired teacher, she needed something to do, and making patriotic quilts became a small way for her to give back. “When you have a Vietnam vet who didn’t know he was going to get a quilt and he gets it and you wrap it around him and he breaks down and he says, ‘It’s been 50 years. No one thanked me for my service,’ you keep going and you keep doing it,” Hayes said. So far, the group has made 1,020 quilts. Margie Willems, a quilter and the treasurer of the group, said that, by the end of this year, the chapter is on target to pass out 250 quilts in the state of Texas at the big events they have lined up. She said the group also has a waiting list of 153 requests. Willems said the group’s loving sponsors and donors provide the materials to create beautiful quilts. “I am so grateful to live in America. We are blessed with freedoms that other countries have no idea, so if there is a red, white and blue person who never served, you are looking at her," Willems said. 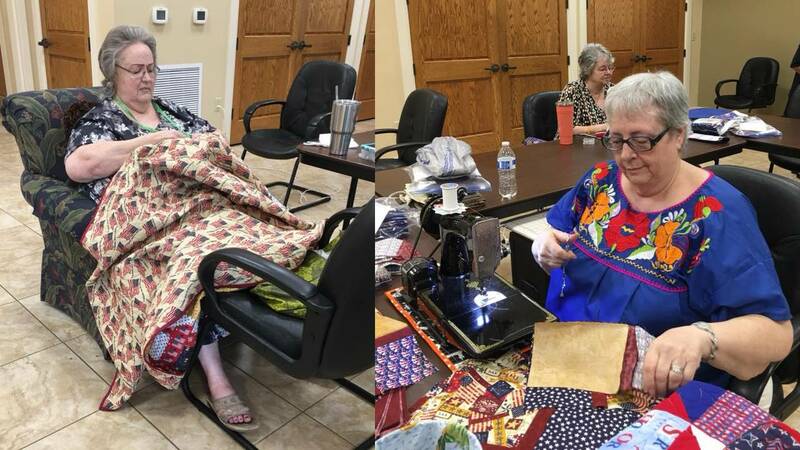 When they get together for sewing days, the group of patriotic ladies sews, quilts and cuts to complete elaborate quilts that take 10-15 hours each to make. Wilkerson said the project has affected her life greatly. “What else do you do when you are widowed and retired but look at four walls? I have always said getting involved with this group has saved my life,” Wilkerson said. 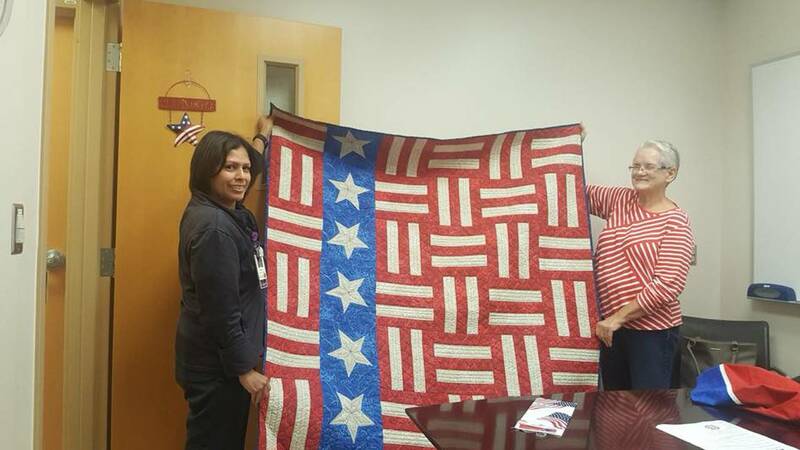 The women share stories, memories and ideas, but, mostly, they anticipate the reactions they will get from hand-delivering custom-made quilts to veterans. At the end of the day, the ladies have one goal, and that is to give more appreciation to those who have taken time out of their lives to serve and protect. If you are interested in getting a Quilt of Honor made for a veteran who is either a Purple Heart recipient, is suffering from post-traumatic stress disorder, has a traumatic brain injury, is dealing with the effects of Agent Orange or has done multiple tours during their service, you can visit the group’s website at https://www.quiltsofhonor.org/. Service to those who have served us demonstrates the love and compassion within the South Texas community. If you have a story or knows someone who should be highlighted because of the difference they make to others, contact Japhanie Gray on Facebook or @JGrayKSAT on Twitter. You can also send your tips to KSAT 12 & KSAT.com on Facebook.